The next time someone says to me, “You’re OK, everyone will always need shoes”, I promise I’ll eat my own underpants. Actually I take that back because it happens so often that I’d have to have M&S doing permanent daily replenishments. I do, however, often have nightmares, that someone invents an alternative to the shoe. It often manifests itself in the dream as an extension of the trouser, like a kind of babygro arrangement, that completely does away for the need for footwear. Imagine that, watching it slowly but surely catch on and hearing people chat at dinner parties about how amazing the new “all-in-one” footwear solution is so easy, so convenient, and so much cheaper? Why would anyone ever buy a shoe again? There I am in the nightmare, thinking about my shoe shops, shoe factory and in fact my whole shoe life, balancing precariously on the cliff edge like Michael Caine‘s bus in The Italian Job. Well this month my nightmare came true, not for me, but for three other people and I had been watching the horror story unravel from behind the sofa for a couple of years. It was odd, I knew what was going to happen, but I somehow still got shocked when it did. The three of course were HMV, Jessops and Blockbuster. I know it’s easy to be wise after the event but I can honestly say that I knew a long time ago that they would all die and I can’t believe that they didn’t know it themselves. 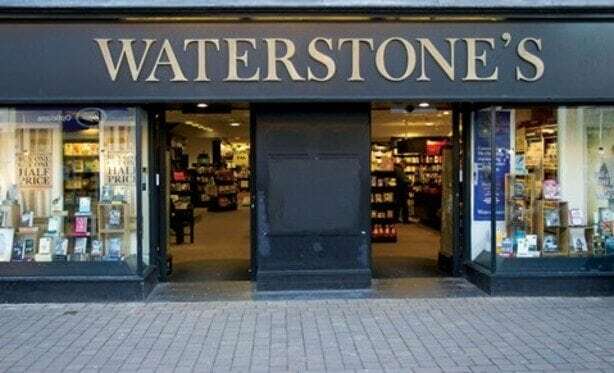 Of course you’ll want proof of my Nostradamus like abilities, so here’s another one that will happen in the not too distant future: Waterstones, oh and by the way libraries will die too. Many of you will be saying “What rubbish, too many people love books”, but look at the facts. People are motivated by price, quality and convenience when they buy something and when they buy a CD, a book or a film the quality is the same, if not better, on the new technology. The words of Shakespeare don’t change on a Kindle, the music of Mozart isn’t different on iTunes and simple pictures are good enough on your phone to mean that you don’t need an expensive camera. On price and convenience, of course, it’s not even a contest. Don’t get me wrong, there will always be people who want to a buy a book that is made by cutting down trees, sending them to a saw mill, mushing them into pulp, printing words and pictures on them, shipping them to a building on the high street for us to buy, so that once they have been taken on holiday, the pages fall out and they get thrown away. There will also always be people who want vinyl (I do) and there will always be people who want a proper camera, but, a shop on the high street has such big overheads that you only need a small percentage of people to stop using them and the business isn’t viable. This is the point that people often miss. A retailer doesn’t have to lose all of it’s customers to die, often 10 per cent will be enough. So when people say “There will always be people who want books”, they miss the point that there needs to enough people who want books to make it worth keeping the saw mill open and the pulping plant and the high street store. Basically the world moves on and we have to move on or die. Bad smelly pubs are closing because people don’t want to go to them, butchers are closing because people want to go to Tesco: it really isn’t complicated. When we first started designing interesting shoes for Grenson, people sent me hate mail but they were people who just didn’t like change. They preferred us to stay the same and die, so they could pity us, than to change and be successful. Change is as inevitable as death and taxes and the people who win are the people who embrace it. It sounds so trite to say it but it obviously needs repeating in a season when three dinosaur businesses died and it still feels like such a surprise to so many people.